Why would anyone steal the identity of Lucifer Morningstar? That's just asking for trouble, whether you believe in the Devil or not. 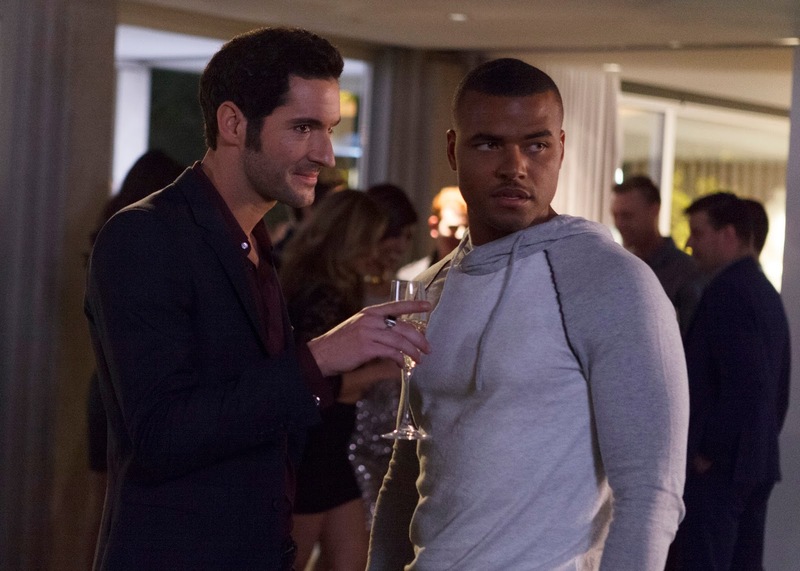 Lucifer dealing with the would-be prince of darkness might have been some of the funniest parts of the episode. His absolute disgust at everything his imposter was doing was hilarious. Lucifer is very protective over his image. Maze broke him out of his devilish rage by saying that it was like Lucifer was punishing himself. He seemed almost disturbed by the idea. Maybe because he doesn't see himself as guilty? Or doesn't want to see himself in such a way? This episode goes to great lengths to stress that Lucifer only wants to punish the guilty, and not the innocent. Lucifer and Chloe's partnership is definitely not an easy one. Chloe fought tooth and nail to try and convince Lucifer to leave it alone. And Lucifer's drive to make sure that the proper guilty party was punished completely overrode that. Although, there are moments when he backed down and listened to her. At the end, she calmed him down enough to acknowledge that it was time for the justice system to step in. And he did genuinely try to help her. Before Chloe pushed him out of the investigation, he tried to tell her about Allie's phone call. This is the third episode in a row where Lucifer has done something unexplainable in front of Chloe. This week her theory was hypnotism. If Lucifer keeps going at his current rate, it won't be long before she starts to take his claims of being the Devil seriously. I really watch this show for the characters, and not for the cases. As soon as the crazy ex-girlfriend was cleared, it was obvious that the agent had to have done it. He was the only other character before that that had had a lot of screen time. Oh, that sentence makes my brain hurt. Anyway, it still was an entertaining enough case. It served its purpose as a vehicle for the character interactions. I'm sorry, but the imposter, Justin? There's no way he performed well in a rap battle. More devilish, angry Lucifer, please! .... I'm a horrible person, aren't I? Is "aren't I" even correct grammar? Lucifer is a really bad influence. But at least he's a decent enough celestial being to help out when you stumble into a murder. They keep showing us the scene where Lucifer got shot six times in Chloe's presence. Remember that scene. Because Lucifer contradicts itself soon. Not yet, but soon. Trixie continues to be adorable. I like her interactions with her parents. It humanizes both Chloe and Dan. Still don't like the Dr. Linda scenes. If the Devil is guilty and sinful, then who punishes him? God? Lucifer is just a cop procedural with a twist at this point. But it's an entertaining one.